Jonathan’s Pick of the Week: Totally Awesome Hulk #21 (Marvel Comics): “WEAPONS OF MUTANT DESTRUCTION” PART FOUR! With deadly Adamantium cyborgs on the loose picking off seemingly unconnected targets, Amadeus must keep his wits about him to uncover the mystery behind the new Weapon X program. But how can he maintain his cool against the most savage threats he’s ever faced? Meanwhile, Weapon X scientists are closer than ever to perfecting BATCH H…Guest-starring OLD MAN LOGAN, SABRETOOTH, WARPATH, DOMINO and LADY DEATHSTRIKE! Hour of Devastation Out Now!! 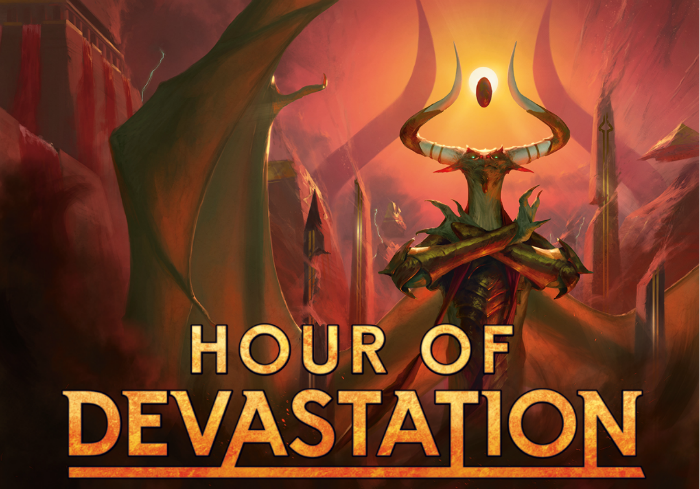 Hour of Devastation Booster Boxes, Booster Packs, Bundles, and Planeswalk Decks available now! We will be playing Standard for Friday Night Magic! We are now open at 10am Mon – Fri! We are working hard on adding more cards to our website, so far added several sets including as requested, Timespiral block. What sets would you like to see next? Email to let us know or send us a message on Facebook.